CND worked with Marian Newman to dress nails at London Fashion Week for Vivienne Westwood. Westwood's collection was rooted in renewable energy. 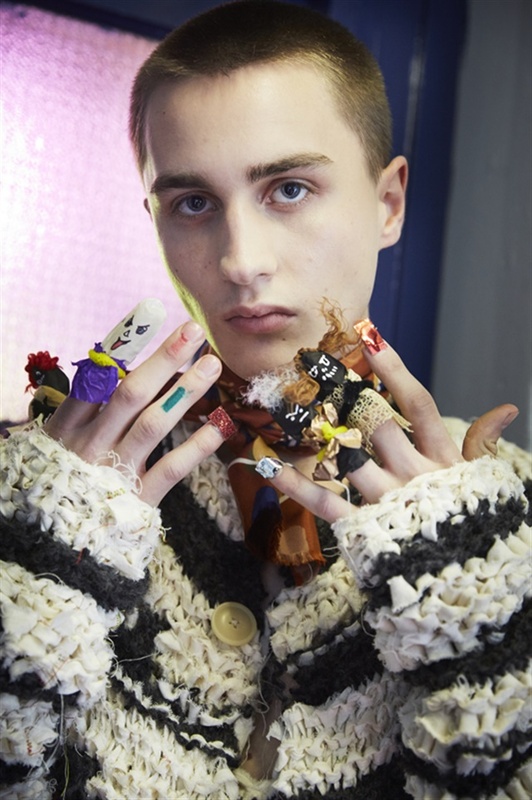 The CND team used recycled fabric from the collection and made finger puppets for models to wear on nails. The show also featured the "Back-to-Front" French manicure. Newman led seven CND stylists including Jennie Nippard, Charli Jepson, Rachel Furr, Becca Gray, Nic Hills, Antonia Catalano and Anita Puluczkai in creating nails for the show. See more nails from LFW and NYFW here.